Let's face it candy canes are a huge part of Christmas, but now that Christmas is over you have all these candy canes that are left. You are getting a bit tired of eating them and looking them so what do you do with them ? Of course if you are a coffee, tea or hot chocolate drinker peppermint candy canes make great stirrers. Plus they will give your hot beverage a great minty taste. Crush them up and use them for ice cream toppers. A scoop of vanilla ice cream and the Hershey's chocolate mint candy canes are a delicious combination. Have you ever tried crushed up candy canes in brownies ? These are a very tasty treat. I didn't think I would care for them, but once I tried them I was hooked. I have had a few of my customers say that they melt them down and put them in a small glass mason jar. Then they will put the jar on the stove or on a candle burner and warm them up giving the house a great minty smell. If you try this just be careful and don't keep it on the burner to long as sometimes the jars may crack. 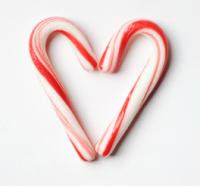 For anyone who makes their own soaps or body scrubs crush up some candy canes extremely fine and add them to you soaps. I bought a face scrub at a craft fair only because I was curious about the candy cane in them, being a candy lady and all. I was pleasantly surprised how much I liked it. The added peppermint pieces not only have it a cool minty feeling but also the tiny pieces exfoliated my skin. Only problem was I could not keep my dogs from wanting to lick my face. 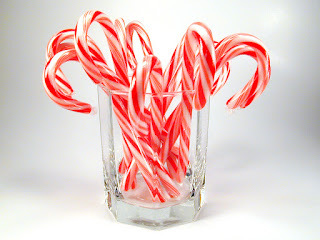 Did you know if candy canes are tightly wrapped sort of like shrink wrapped they last a long time. Now of course I am not saying that you should eat them the next year but they still have a use. Now winter is hear, it's could outside, kids are getting antsy. 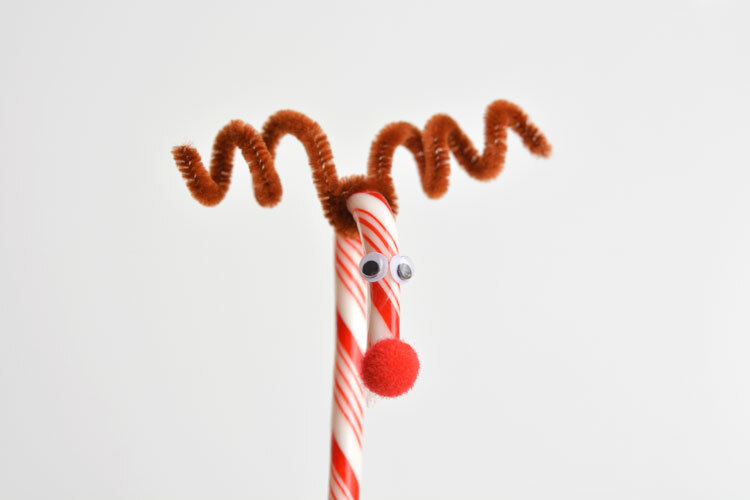 Hey bring out those left over candy canes, pipe cleans, ribbons, googly eyes and what ever other craft supplies you have on hand and get a jump start on some crafty Christmas ornaments and gift for next year and keep the kids busy at the same time. Here are a few fun and fairly easy crafts we found looking online and I am sure you can find many more with a little research. How about a reindeer ornament. Just a little dab a glue to hold them together. Then wrap in yarn, add eyes , a pom pom and some ribbon you're done. How cute would these be to hang on your Christmas tree ? Here is another reindeer that is easier to make with smaller children. Very simple and fun to make. 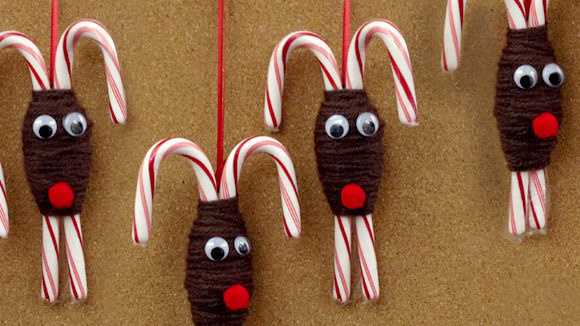 These also are really cute when you make them with flavored candy canes that are different colors. Get some thin twine and wrap them around the canes putting a dab of clue here and there. Then add a bow to the top and anything else you might want to add and a hanger. I made some like this a few years ago by wrapping them in twine it gave them a county look. They were so cute on my tree. 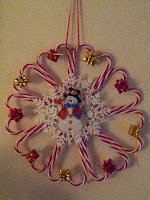 Candy cane wreaths are fun to make and you can let you imagination run wild. 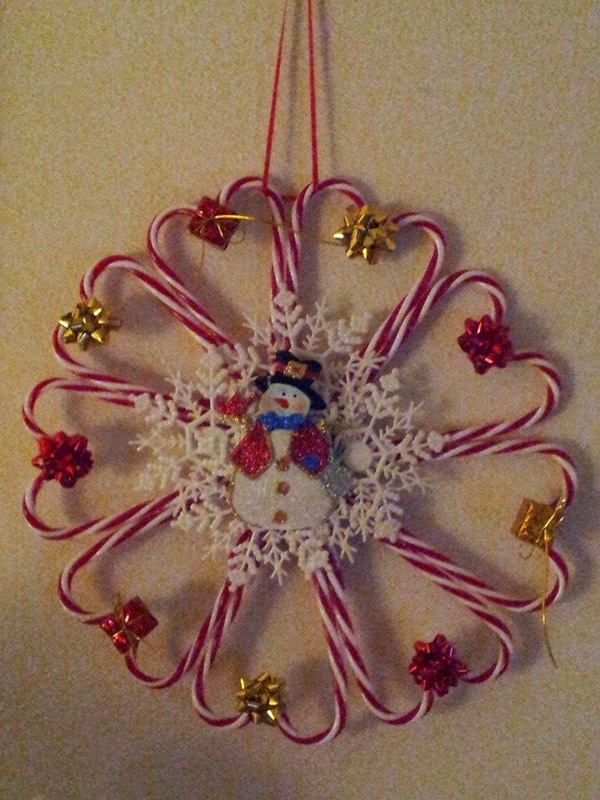 Use full size or mini canes depending on the size of the wreath you want to make. You can add all sorts of embellishments to make them as fancy as you want. My girlfriend made these a couple of years ago in in the center she put a picture of her kids and gave them out for Christmas to the grandparents, aunts and uncles. Everyone loved them. 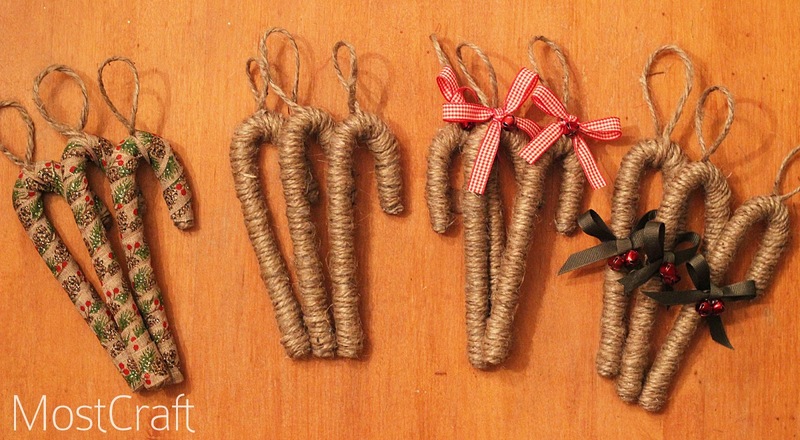 Or with Valentines day right around the corner you can make some candy cane hearts. If you really want to dress them up melt down some chocolate white or dark chocolate and fill the centers for a tasty Valentine treat. So here are some idea's of what to do with all those left over candy canes or you could just throw them out if you are really sick of looking at them. I really want to make some of the candy cane hearts, melt down some chocolate to fill the centers and turn them in to suckers. So stay tuned if they turn out we will be sure to post some pictures.